Does your child know how to solve simple equations, read Roman numerals, and determine the area, perimeter, and volume of geometric figures? With Horizons 2nd Grade Math Student Book 2, he'll learn that and more! This student workbook contains brightly illustrated lessons 81-160 with 8 review tests. The pages in this Alpha Omega curriculum are perforated for easy removal. Looking for a fun-filled, time-tested math curriculum that keeps pace with today's standards in elementary math education? Look no further! Alpha Omega Publications has just what you need—the Horizons 2nd Grade Math Student Book 2. The beauty of this softbound, consumable workbook is the unique spiral-learning method which introduces, reviews, and reinforces new math concepts quickly. In Student Book 2 of this Alpha Omega curriculum, your child will expand on skills learned in Horizons 2nd Grade Math Student Book 1 as well as learn how to subtract by borrowing from the 1's and 10's columns, determine linear equivalents in English and metric measurements, and identify octagons, pentagons, and other geometric figures. What's more, hands-on lessons and learning activities keep math so interesting, your child actually looks forward to math each homeschooling day. But there's more! After each series of 10 lessons, your child's knowledge is evaluated with a comprehensive review test to make sure he understands each math concept completely. 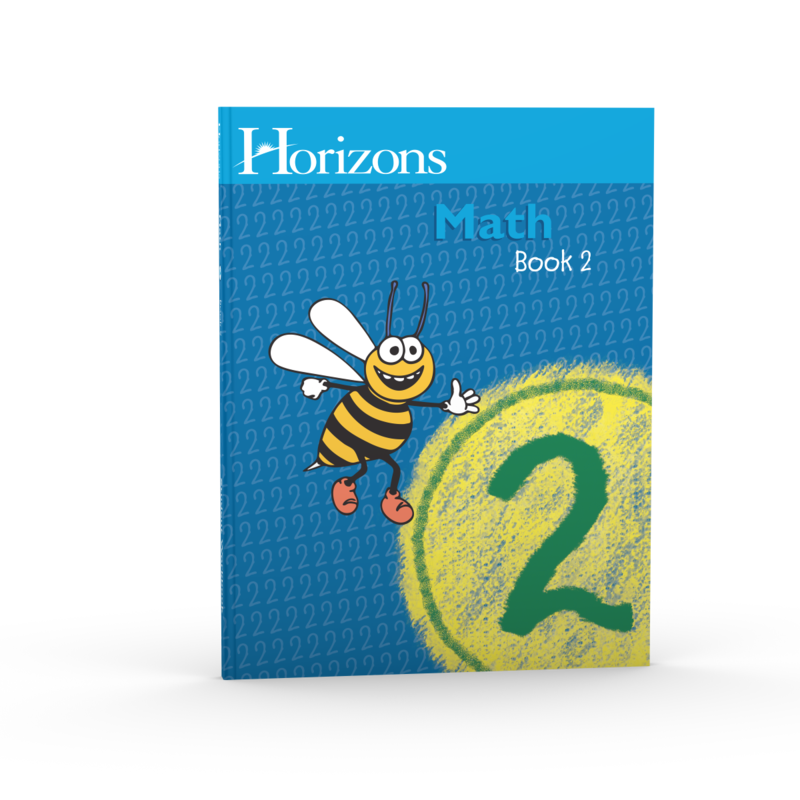 Easy-to-teach and easy-to-understand, Horizons 2nd Grade Math Student Book 2 is the perfect curriculum for you and your child. But don't take our word for it. See for yourself. Add Horizons 2nd Grade Math Student Book 2 to your shopping cart today!